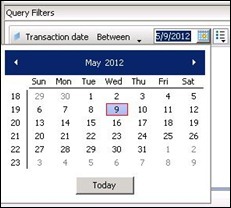 One frequent question in Decisions is date format. 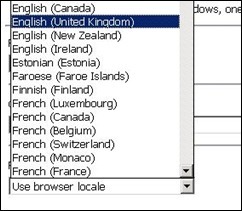 “Out of the box” Decisions may (depending on the PC’s settings) default to US date format (month-day-year) rather than the [dare I say more logical?] UK norm of day-month-year. This can cause frustration. 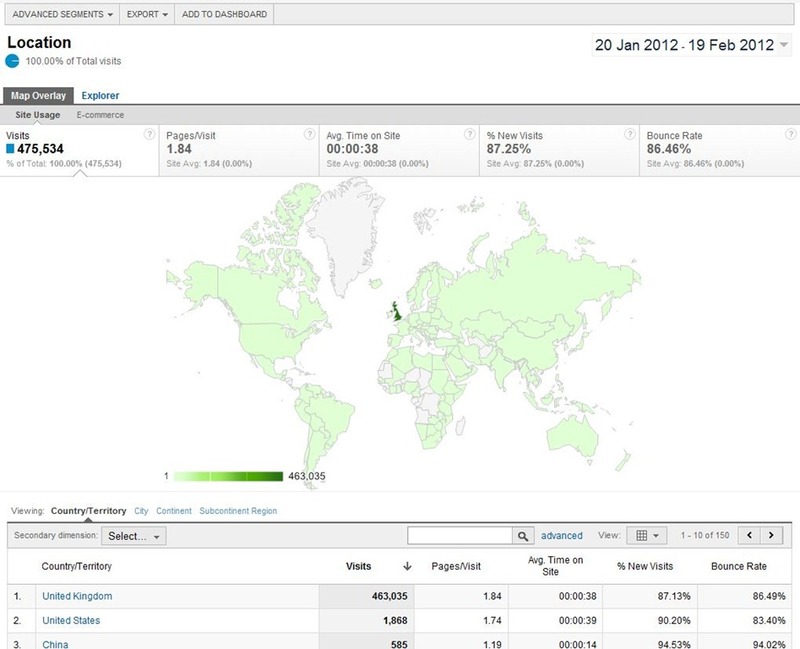 Here are two examples of the same prompt in Web Intelligence, one with US settings and one with UK Settings. Within Preferences you can then select the “Preferred Viewing Locale”. 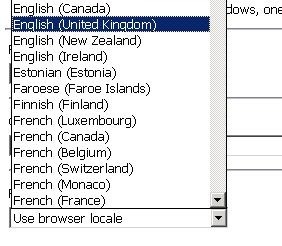 Set this to English (United Kingdom), save your changes and that should do it. 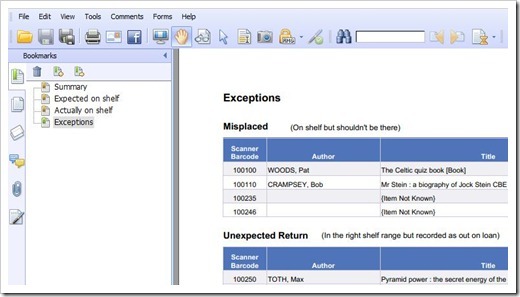 Decisions XI R2 offered a valuable facility for highlighting exceptions: Alerters. 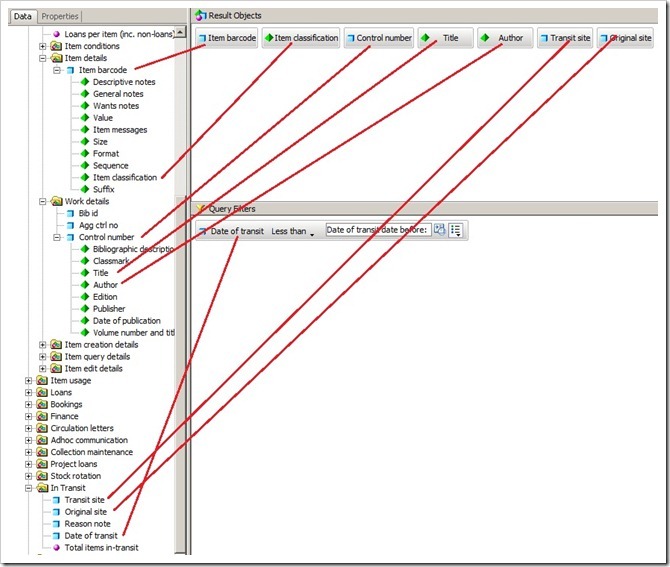 Alerters permit the report designer to highlight data which meets certain conditions. 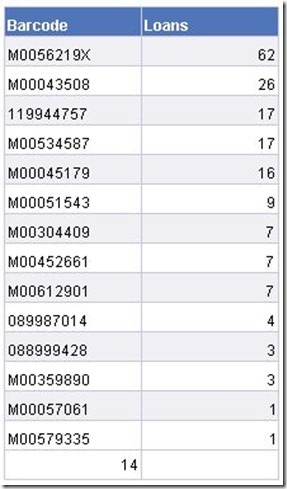 This makes it easier for an end user to pick out the handful of interesting cases from a mass of otherwise-normal data. In the example on the right, average times to satisfy cross-site reservations over 10 days are highlighted. The alerter can be triggered by a comparison between two bits of data. 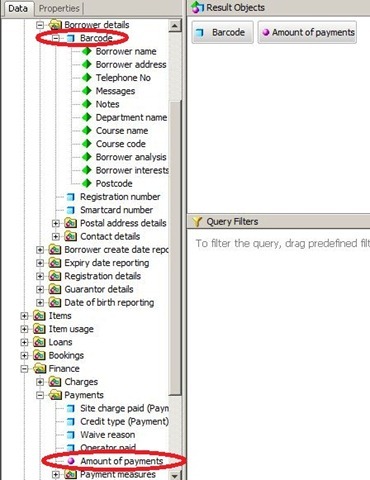 In this example the number of loans per borrower is broken down by site, and the site names colour coded depending upon whether they are above or below average. Decisions XI R3.1 has a further facility to track changes in value through time. 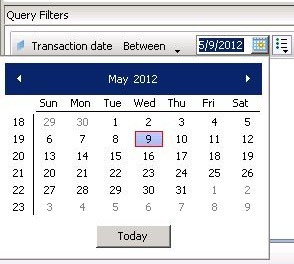 There are a number of selectable options: colours, formatting etc but also whether tracking is from a fixed point in time (say the start of a financial year) or since last refresh. 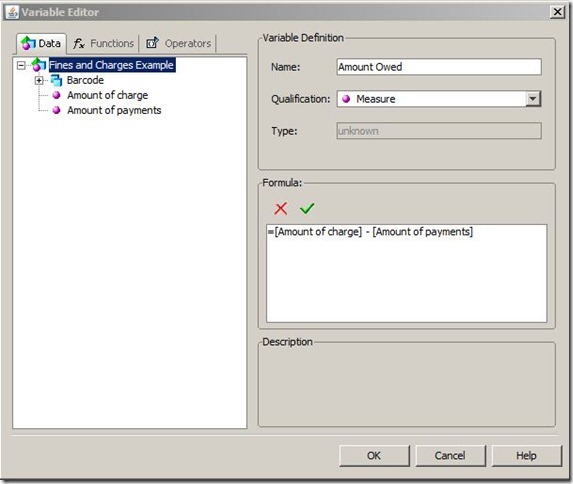 This can be used to monitor values that you would expect to remain unchanged. 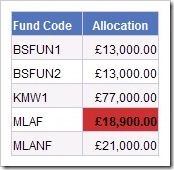 Here for example is a short list of fund codes with their associated fund allocations. 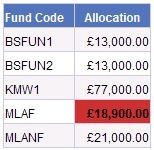 Tracking is switched on and has highlighted a row where the amount allocated has changed. Many Decisions users have now been upgraded from XI R2 to XI R3.1. The interfaces of the two versions look fairly similar but there are several nice features in 3.1. 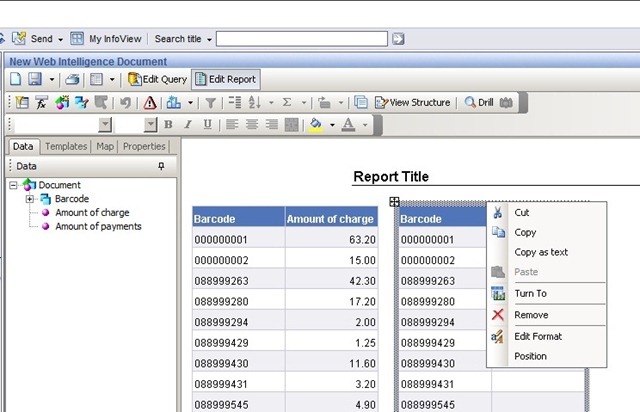 My favourite is Input Controls, which allow people looking at a report in the viewer to filter the data on the fly and without having to modify the report. You are looking at a list of charges and you are only interested in those over a certain amount? Move the slider till you see just the ones that you want. You want to look at jut a few sites? Select the relevant checkboxes. 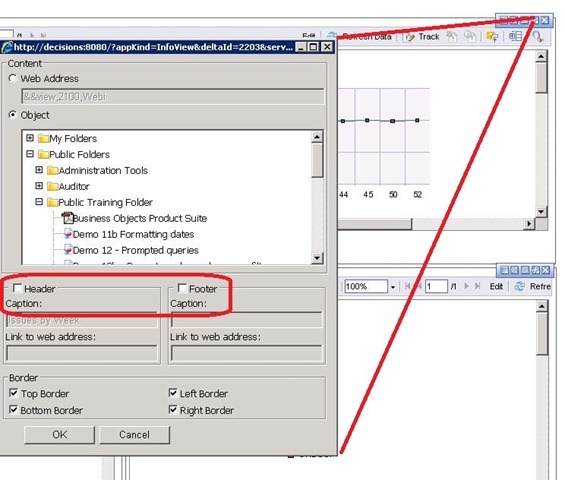 You could offer the user some “on the fly” selection in R2 using Drill Filters, and this feature is still available in XI R3.1 , but the Input Controls feature is far more flexible for filtering: and won’t accidentally trigger a refresh – which can happen with Drill filters. 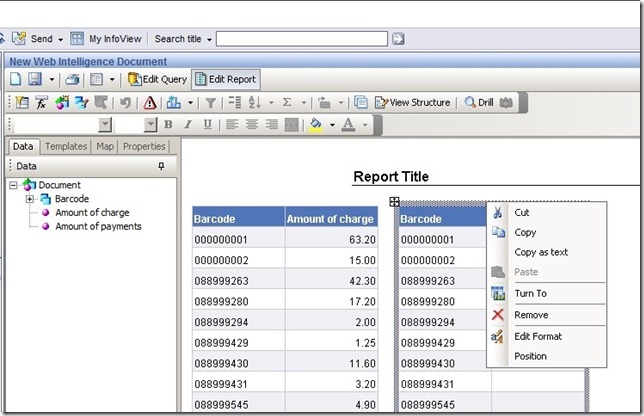 There is also now a desktop equivalent of Web Intelligence called Web Intelligence Rich Client. This is just a bit of software installed on your PC, like Word, Excel, Paint or Notepad. Like these applications it can save and open files on the PC. 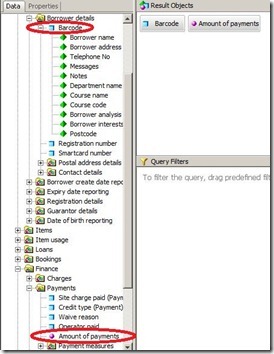 It can be used connected to the main Decisions server or independently. 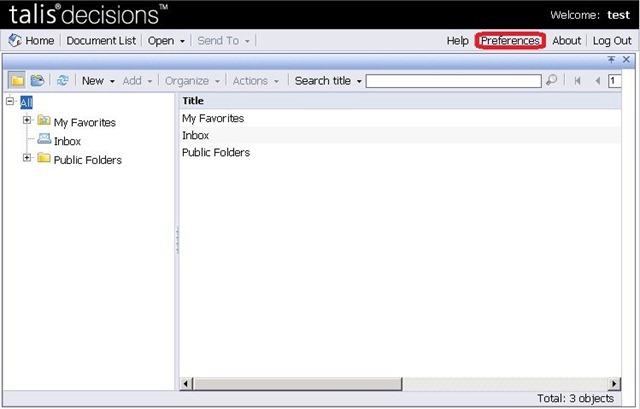 In principle you could email somebody one of these web intelligence files, and they could then take it on the train or up a mountain on a laptop and browse it there with no connection to the Decisions server. 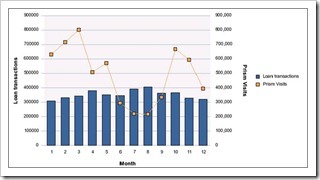 Prism 3 data in Decisions? 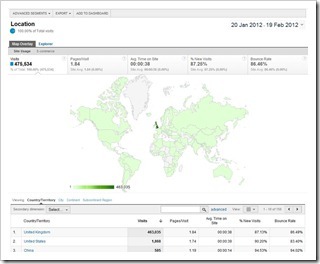 Very extensive usage data is already available to all Prism 3 customers via Google Analytics: clearly there is little merit in attempting to reproduce all of that, but it may be helpful to have a few key metrics duplicated in Decisions. This may be useful when (as above) you want to display Prism usage alongside other library data (such as loan counts) on a single chart. 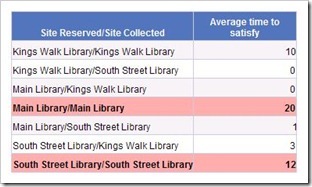 It may also be useful for assembling routine reports such as month- or year-end where different aspects of library activity are consolidated into a single multi-tabular report. We would like to ask your help in understanding what Prism metrics (if any) you would find most useful in Decisions. We ran a webinar some weeks ago asking this question and a number of folk attended and kindly gave us feedback. https://www.surveymonkey.com/s/KL6G6VS – it will be open until 6th March. We would be most grateful if you would spare a few minutes and take a look. If you don’t think it is a feature that you would use, that’s valid too; please email john.hardy@capita.co.uk directly or put something in the “notes” section of the survey. 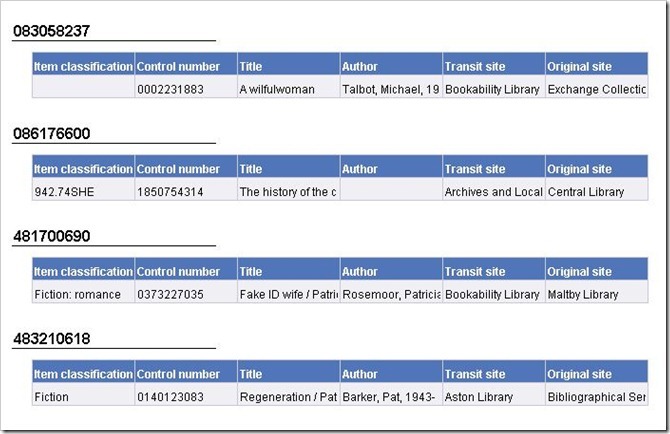 It’s been a while since I last posted: I’ve refrained whilst the switch between a “Talis” blog and a “Capita” blog has been going through. I’d like to restart with a worked example which illustrates some interesting issues. Apart from some resizing of columns, adjusting alignment and word wrapping, this looks close. And it is, in terms of data content. Not in format however. 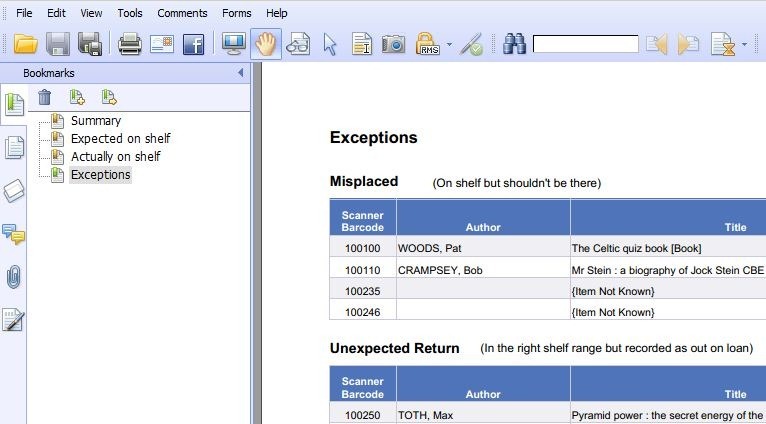 The person requesting the report wanted the output as one small vertical table by barcode, presumably because they were used to scanning data in this format. 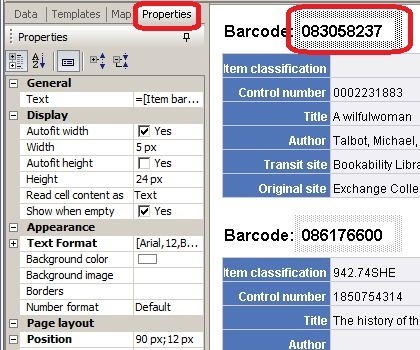 The first step is to section the report on barcode. 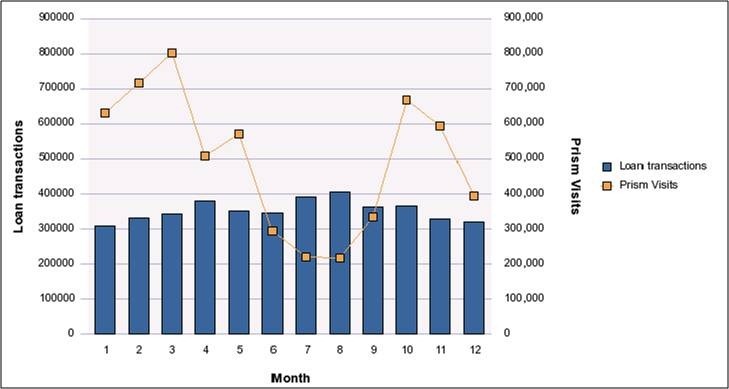 A section is an area of the report where everything shares some characteristic: you might for example want to section a report on site, or month in year. 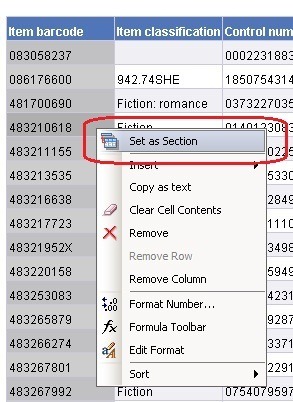 There are several ways to create a section. 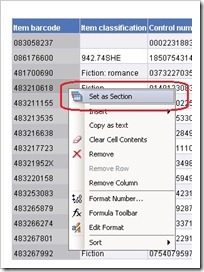 If you already have a table which has the relevant column in it then the easiest way is to right click the column and choose “Set as Section”. 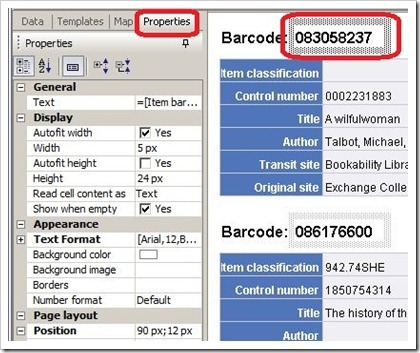 In this example we are going to section on barcode. The final tweak is to turn the horizontal table into a vertical one. 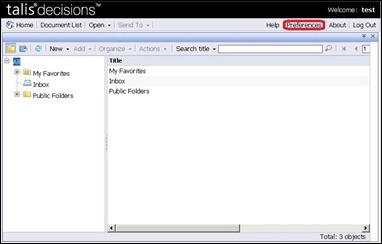 If you select the “template” tab in the left hand pane and navigate down into the “tables” folder you will find “Horizontal Table”. Drag this and drop it onto the existing table. There are a few further changes we can make to tidy up the appearance of the report. 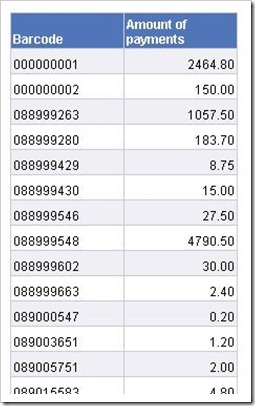 The first thing is to drag the right hand edge of the table to give more space for the data. 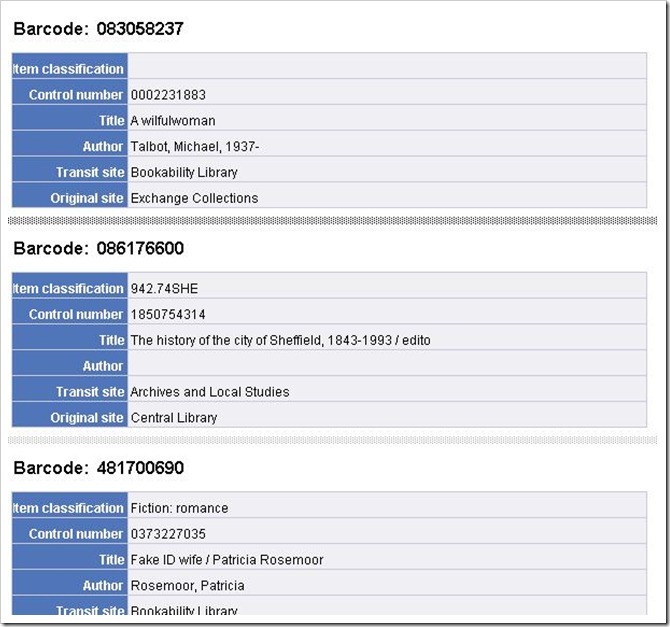 Secondly, the display of the Barcode is a bit messy with an underline far longer than the data. Visual tidying is mostly done in the “Properties” tab with the thing you want to change selected. 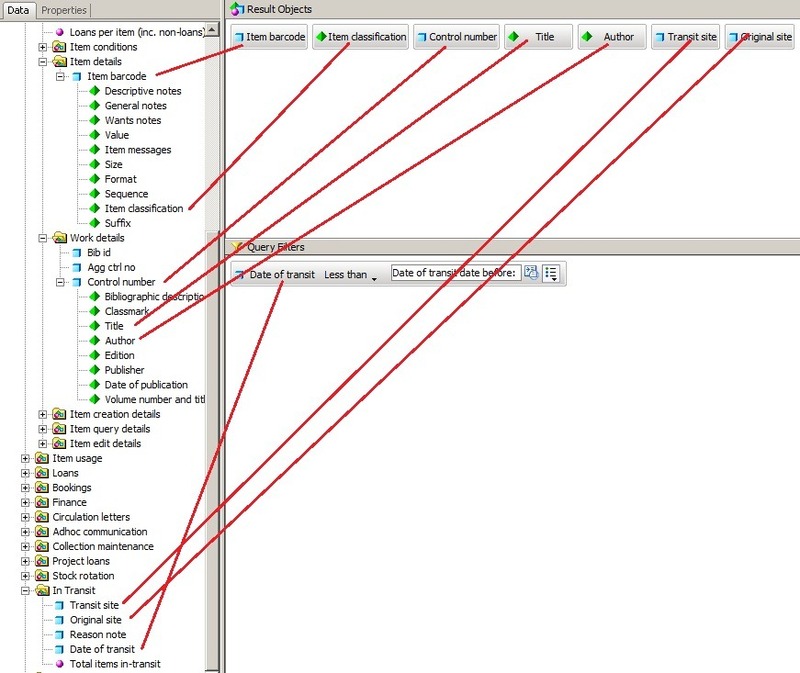 (Note: that the fuzzy grey line between sections is visible because the section boundaries were selected in the editor. They are not otherwise visible). It is possible to nest sections. 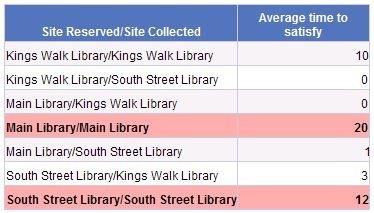 In my next post I’ll use this to illustrate sectioning this report on to/from sites. 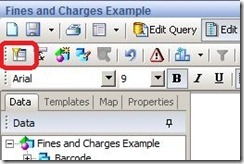 Yesterday I posted in example of reporting fines and charges together. 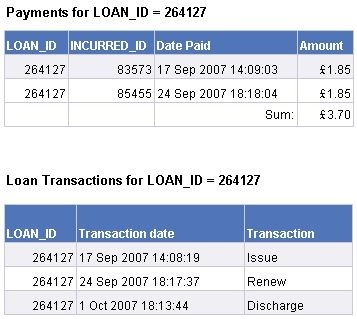 Today I’d like to do an example of another issue that folk struggle with in this area: reporting the loan data associated with charges or payments. The reasons for this are complex but part of the issue is that payments and the items related to those payments are not straightforward. Alto must store its data so that it can handle part payments, reservation charges, hire charges, fines, payments that are waived: even payments that are unrelated to a loan at all. 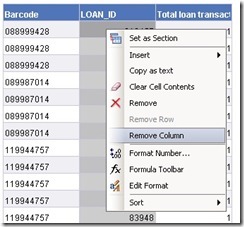 Here for example are two lists for a single loan (a loan of a given item to a given borrower, identified by LOAN_ID). We can surmise that this was a hire item with a hire charge of £1.85. There is more discussion of this in this forum post. 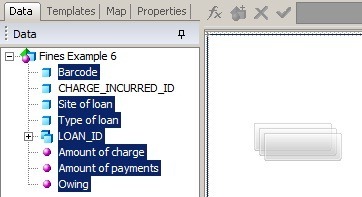 The key to handling this area is to use queries linked on LOAN_ID. 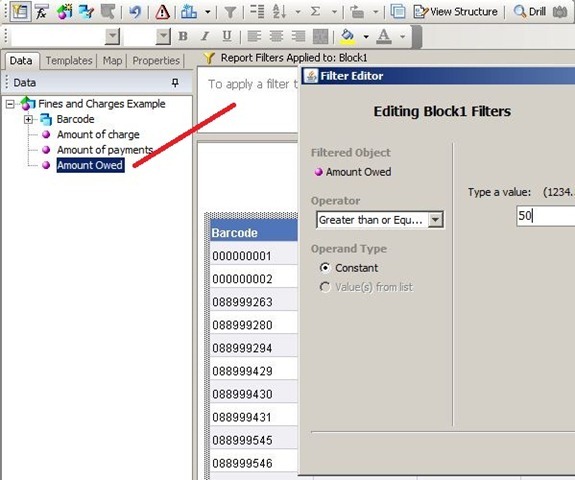 Suppose that we want to list fines or hire charges by loan type and location and include the borrower barcode so we can easily cross-check against Alto. First we need to be clear about what exactly we mean by “location”. Do we mean the location where the item was issued or discharged, or where the payment was made? What if (to take an extreme example) a hire item was renewed three times at different locations and payment taken as a mixture of transfers from credit and part payments – and some of the charges were waived? The answer is likely to depend upon the use to which the information will be put. If it is about planning location of tills, presumably location of the payment is critical. If it is about circulation, then the location of the original issue may be significant. We have assumed the latter in this example. 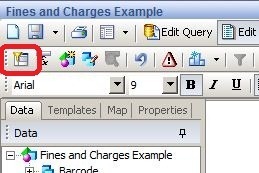 The type of charge (Fine, hire charge etc) is related to the charge so if we want to restrict our charges to a particular type, we will have to get the charges too. So in this example we have three queries. 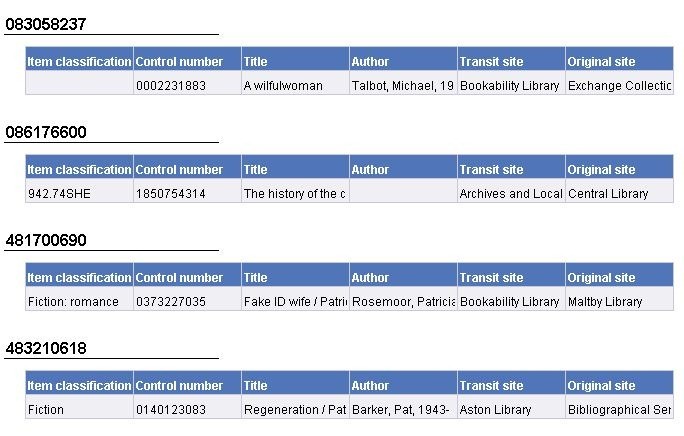 All three contain LOAN_ID which is what we will use to link them together in the report. 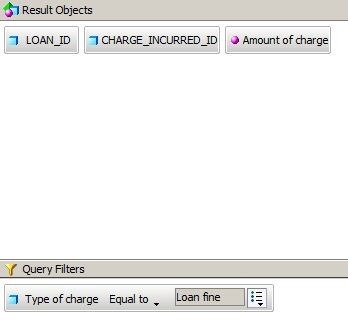 Note that the charge query is filtered to return just Loan Fines, and the Loan query has a filter on date range. 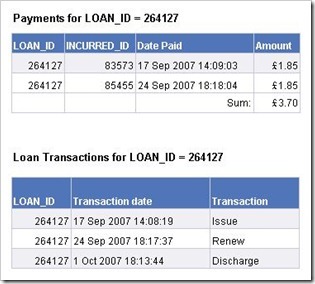 The latter is critical if the query is going to return fairly quickly. The loans are also limited to Issues. This means that the “site” will be the one where the item was issued. One Decisions report I’ve been asked about is how you report loans that have been completed from start to finish within a certain period of time. This is relevant to the Summer Reading Challenge in public libraries where participants are “challenged” to read 6 books between two dates. 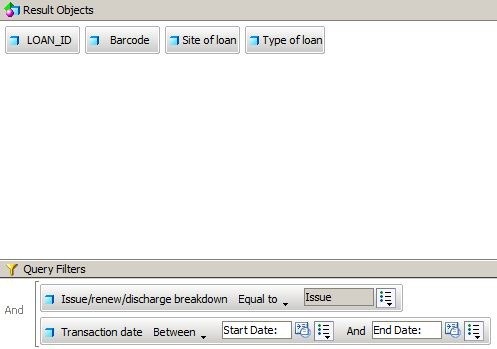 Listing the number of issues that a borrower has had in a date range is easy. 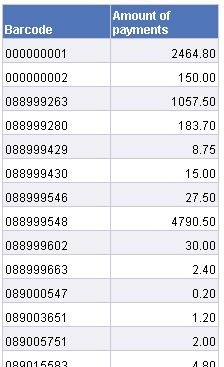 Listing the number of discharges is also easy; but what we want is to count loans where the issue and the discharge both occur in the date range: i.e. we want to ignore any discharges without a corresponding issue and vice versa. 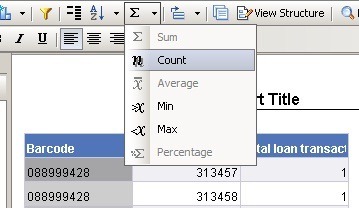 Now click on the Combined query icon in the toolbar. 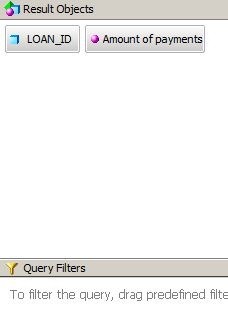 This creates two queries out of the original one with the same data in both. You can select which one you want to look at in the bottom left pane. 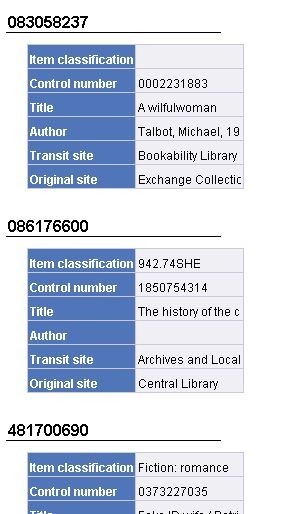 Double click the word “Union” on the left of the Combined Query box until it reads “Intersection”. Now refresh the report. What Decisions does under the bonnet is go away and get a list of all the issues in the period for Borrowers with the selected interest code. 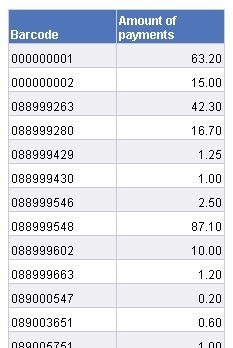 It then gets a second list of all discharges in the period for Borrowers with the selected interest code. 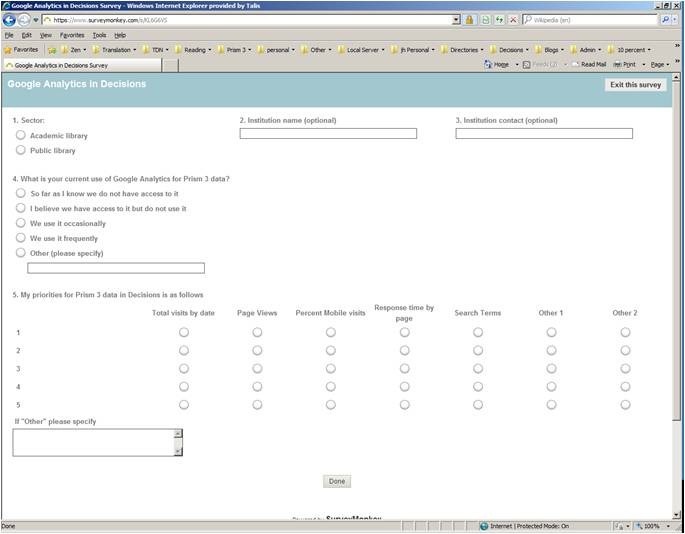 But it displays only those Borrowers and Loan ID combinations that are in both lists. 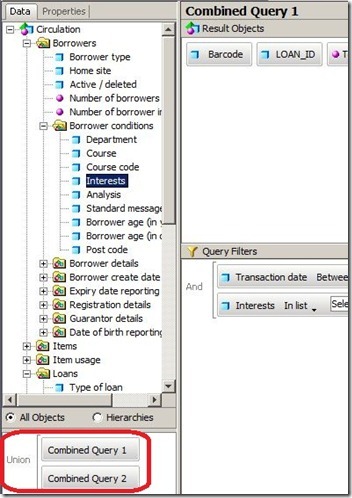 In other words if the one query returns a Borrower barcode/LOAN_ID but the other one doesn’t, it isn’t displayed. 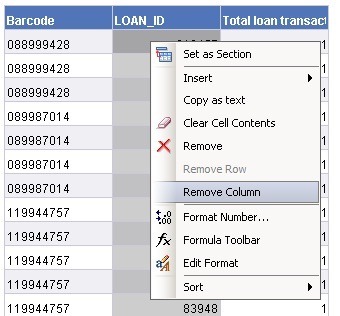 If your interest is primarily the total number of qualifying borrowers rather than the detail, you can right-click the barcode column and select Count in the maths drop down to get a total at the bottom of the table. You can add further report filters to remove known exceptions. 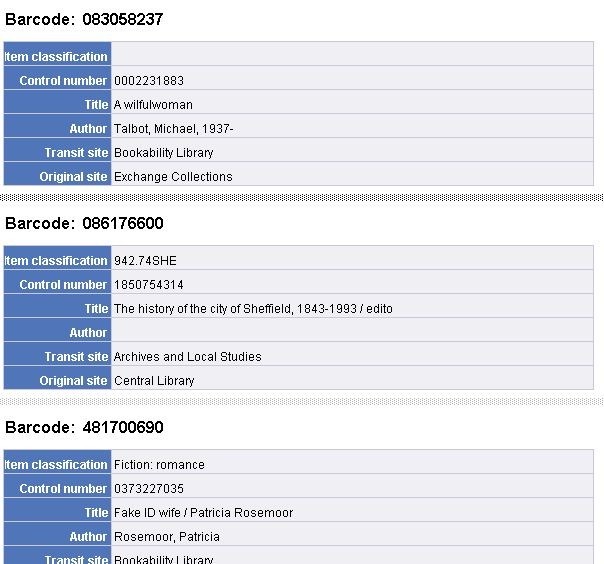 For example the top barcode in this list might be a dummy used for outgoing ILLs that had been mistakenly coded with a Summer Reading Challenge Interest Code. 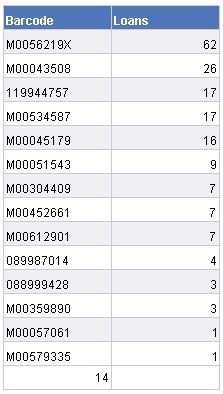 If you are a Capita Libraries customer, you can download a zipped BIAR file below containing a sample report. If you download it and try it, please do let me know how you get on with it. If you would like it but cannot download it, drop me an email. The reporting of fines and charges in Decisions can be unexpectedly difficult. This post tries to explain why and gives a simple example of a fines/charges report that can be extended/adapted to suit local needs. 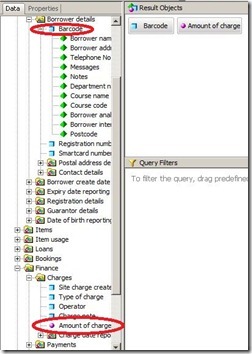 The main issue that can cause confusion is the way that databases handle joining two lists of data together. Only those items that appear in both lists? 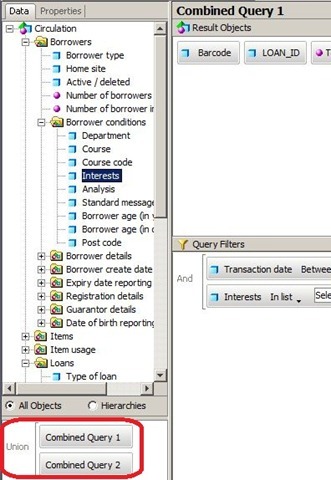 For example if you have a list of borrowers and a list of books and you ask for a list of which borrowers have borrowed which books, do you want to include all the inactive borrowers and all the books that were not loaned at all? These sorts of questions are often (but not always) obvious to a human but aren’t obvious to a computer. 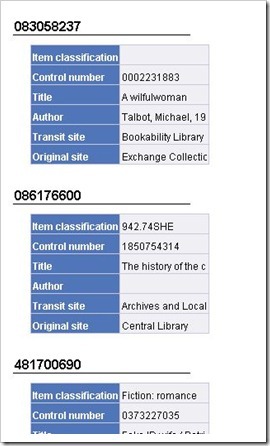 Sometimes they aren’t obvious even to a person: for example if you ask for a list of books by format, what about those that aren’t classified by format at all? None of this is a problem if you just want a list of charges incurred by borrowers, or just want a list of their payments. The problem comes when you want a list of what each borrower owes, because that is logically all their charges minus all their credits (paid/waived). 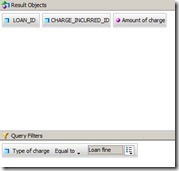 If you compose a single query in Decisions to get a list of borrowers, their charges and their credits you are in effect asking for a combined list and (unlike a human observer) the database cannot figure out from the context that you will want all the borrowers with charges regardless of payments. In this case unfortunately it will assume that you only want data where there are both charges and payments and the results will not be at all what you want. Fortunately the solution is fairly straightforward: ask Decisions to get the two lists separately and then combine them in Decisions. Here is a simple example which lists all borrowers who owe more than £50.00. The logic is exactly the same as that described by Brian in this forum post. 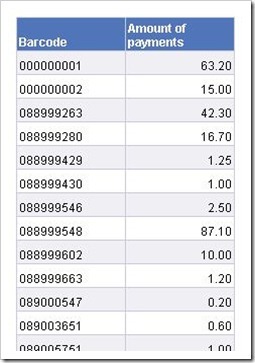 Select the table (a selected table has a thick grey border). Don’t omit this step. In the pop-up that is displayed, select “greater than” or “greater than or equal to” and enter “50” of whatever your chosen limit is and click OK.
One issue that comes up from time to time in the context of Decisions is Dashboards. 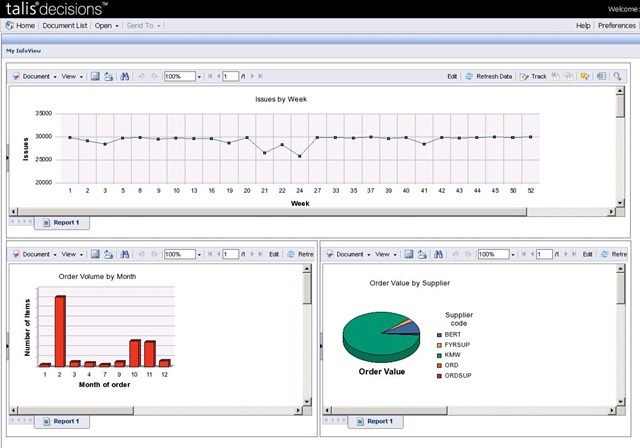 “Dashboard” means different things to different people, but the core is typically a collection of graphical reports designed to give a specific user an at-a-glance overview of performance or outcomes in areas that are of interest to them. Decisions is not primarily a tool for constructing dashboards, but it is certainly possible to put together simple dashboards for specific users. Here is an example intended for a hypothetical acquisitions manager. 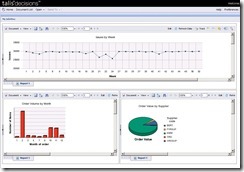 Dashboards in Decisions are constructed using the “My Infoview” option. This permits the user to specify a number of panels (this example shows three) in almost any rectilinear combination of size and position. 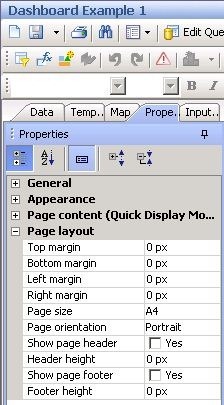 The Properties of the report pages were set so that the report margins were zero and the headers and footers suppressed. The graphs and charts were sized to fit the space available and positioned at the top left of the page . Not everyone has a need for a dashboard, but dashboards can be helpful, and the facilities in Decisions are quite adequate for most users. 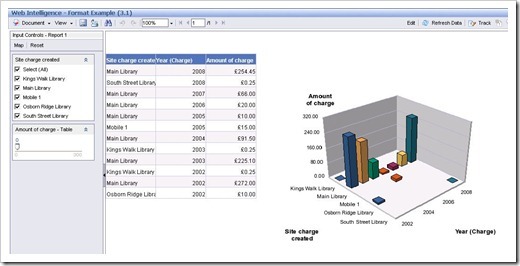 Tools like Talis Decisions are designed to work with existing data from the Talis Alto database. They cannot report on data that do not exist or that are not accessible. 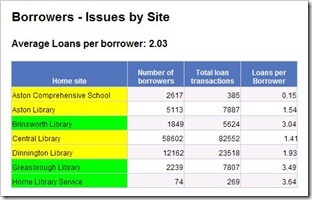 This doesn’t stop users from requesting reports on loans per library visit, percentage of visitors who didn’t find what they were looking for, the attendance at library events, or borrowers opinions on stock, study facilities or decor. 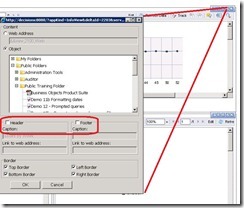 We have already discussed on this blog the use of external data within Talis Decisions. Surveys are an interesting area. They can be used in “pure” mode to capture borrower opinion. One example of this was mentioned in an earlier post on information and action. The same software can be used to record statistics that might otherwise be either recorded on paper or simply lost, such as the attendance at homework club in a public library, or a library event on citation software in an academic context. 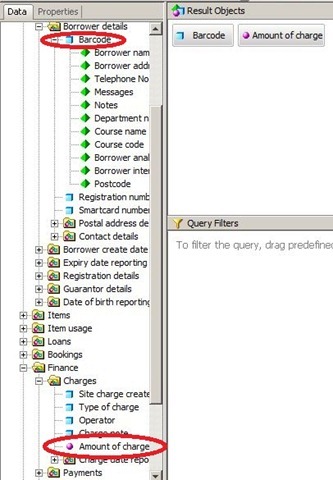 There are many on line survey tools, some of them free; Survey Monkey is one example which we have used ourselves in the past. 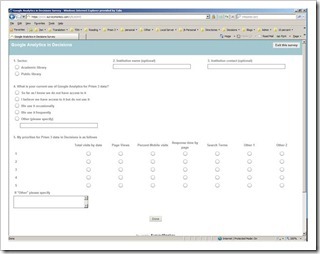 If your organisation has a CRM (Customer Relationship Management) system then it may have built in survey facilities. 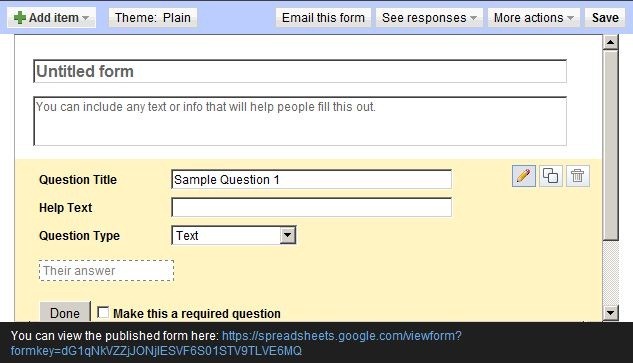 Even Google Docs allows you to create forms and accumulate the responses in a Google Docs spreadsheet. For many purposes this would be quite adequate. One word of caution however. 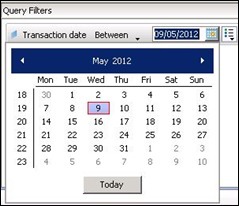 It is easy for administrative and management staff to do so much data collection that computer use becomes a burden to front line staff. The National Health Service suffers greatly from this. The main purpose of computing is to reduce the time it takes to get a job done, but many nurses and doctors will tell you that in many cases computerisation has slowed them down rather than speeded them up (not in all cases – medical imaging and some laboratory systems are positive examples).